You will experience an analog-like audio quality you’ve probably never heard before on a computer audio transport system (CAT). 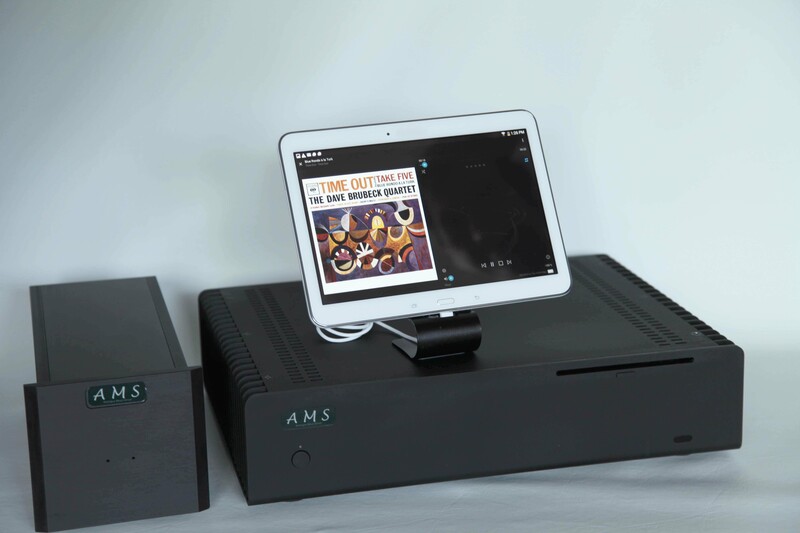 AMS Analogue Music Server achieves the absolute high-end of computer audio and now competes with similar sound qualities from top end Vinyl transport systems and Open Reel to Reel systems. For this result we had to set up ultra-precision clocked hardware with hi-performance digital cables and extensive 64bit software with Core Kernel-streaming which makes Audio Playback the Priority. We achieved these CAT results with multiple high current analogue power supplies. This had not been possible until now when all the 64 bit driver and development work has been done by many manufacturers. Fortunately these developments aligned with our research and design initiatives. The time is now right for the AMS Analogue Music Server. To have this phenomenal analog-like sound quality with the AMS Analogue Music Server, we broke the time barrier in innovative designing: the upgradeable Unipolar Class A Amplifier design which implements Ultra Low Noise power regulation with premium low ESR capacitors and filtering power supply’s which are standard on the Signature model of the AMS Analogue Music Server and TuneBank. AMS server comes with two wireless routers one dedicated to connect wifi remote control And one dedicated to connect to internet all pre-configured to operate out of the box setup. *remote control will operate with android devices (phones or tablets) or IOS devices (iPhone IPad) or the finest user experience with 14” tablet which is gives you complete control and detail of all functions with the high visual resolution. The AMS Server answers the "bits is bits" argument. It's how those bits are delivered that is really important and that takes great software. Hardware is also very important but it is secondary to proper software. ...bits are bits (once you minimize jitter, packet noise, RFI/EMI and other nasties) that finds its way through to the DAC. Power Supplies AMS Analogue Power Supplies hi current 12amp, RAILS Point to Point hand wired 6 separate power supplies to experience this magical Analogue sound quality *Special Edition model 11 separate ultra-low noise power supplies. Running R2 server in minimalist mode, fully optimized, runs only 5 to 7 services and about 15 to 20 processes. Almost 150 unnecessary drivers and services are disabled, resulting in the optimal platform for ultra high-end audio reproduction. Over 300 additional modifications also benefit various elements of the operating system including priority scheduling, CPU modes and the file system, all of which greatly improve sound quality. The result is so enjoyable, so detailed, and so compelling that you simply must hear it for yourself. This is the place you want to get to. Kernel Streaming is the lowest audio engine level in the Server Operating system, allowing more efficient, real-time streaming. For the ultimate playback experience, this requires Kernel Streaming. ASIO is applicable only to DACs that have an ASIO driver. And that on 64bit OS also a 64bit ASIO driver is required. SATA cables make sonic differences? With Hi-Performance Ultra III SATA cable. The OS's operation will become less complex and more simple & continuous and less JITTER As a result this Hi-Performance III SATA cable make a big improvement in the Signal Quality For this improvement you do not to do a A-B blind test Just replace with this Hi-Performance III SATA cable You will hear a big difference. And with similar reasons with the Hi-Performance III SATA cables You will have a shorter cd ripping times You will get better Signal Quality from Ripping CD’s SATA cables make sonic differences? You will hear a big difference. !